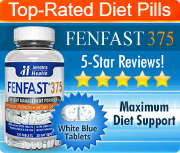 Lipo 6 Hers is a nonprescription weight loss supplement that is manufactured by a company called Nutrex. This product is meant to work as a thermogenic. This means that it produces thermogenesis in the body, which increases the body temperature so that the cells are expending more energy in order to produce heat. The idea behind this concept is that so much energy will be used in the process that less of the calories that are consumed will need to be burned off by exercise in order to prevent weight gain, or in order to encourage fat loss. 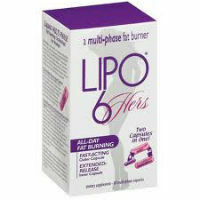 The original formula for Lipo 6 Hers included ephedra as an ingredient. That said, since that substance was banned by the FDA, Nutrex went back to the drawing board and came up with a new product that would include all legal substances to produce the thermogenic effect. The official website for the product claims that using it helps to reduce the size of areas such as the abdomen, hips, and the backs of the arms. This is because this product is marketed specifically to women and these are the areas that many women find most difficult to reduce. That said, there isn’t a product – or even a workout – in existence that has ever been scientifically proven to target specific places on the body. Weight loss occurs overall, not in individual body parts. At the time that this review was written, the official website at Nutrex said that the Lipo 6 Hers pill functions in a number of phases in order to produce the desired results. It says that the ingredients in the product are absorbed by the body at different speeds, which causes some benefits to occur early on, while others are delayed. This way, it has a lasting effect, instead of wearing off quite quickly. Taking a look at the ingredients, the formula is made up of: N-acetyl L-tyrosine, caffeine anhydrous, B-phenylethylamine, citrus aurantium (50% p-synephrine), and yohimbine HCL. It is clear from this list that stimulants are very important to this product, as more than half of these ingredients are, indeed, stimulants. 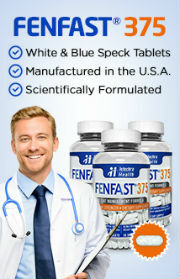 Moreover, they are quite powerful stimulants that are, on their own, associated with unpleasant side effects. When combined, this could cause many users to experience anything from headaches to nausea, from anxiety to shakiness, and many more. Moreover, the FDA has released a warning about the dangers of using products that contain synephrine.